At Puget Sound Commercial Capital Group, we understand what it takes to improve your business. For this reason, we offer various funding options that will help you get to where you need to be. If purchasing a new piece of real estate is on your to-do list, our commercial real estate financing option is the place to turn. CMBS Loans – With low rates and fixed terms, this type of loan is easily attainable. For retail buildings, anchored shopping centers, office buildings, and more, these funds come out of pooled trusts that are sold to investors. Construction Loans – These loans are perfect for someone constructing a new building that they want to finance even after construction is finished, as they can be restructured when the project is complete. Conventional Loans – This type of loan is ideal for a refinance or purchase of multi-family properties, self-storage units, and more. LTVs are high and rates are low, making this option enticing to many companies. Equity Financing – Equity financing, sometimes known as mezzanine financing, depends on the situation you are in. 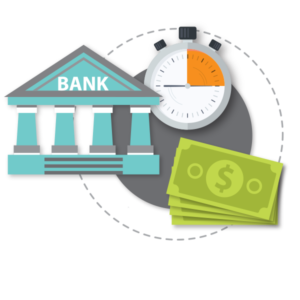 Our professionals are experts at tailoring this finance option to the specific needs that you have as a company. HUD Loans – These types of loans are perfect for the acquisition, refinance, or new construction of a hospital, multi-family housing unit, or other similar structure. International Financing – Companies looking to purchase property overseas should never try to do it alone. At Polaris Commercial Funding Group, we know how to handle these tough situations, making sure you get the property you need most. SBA Loans – The 7a and 504 SBA loans are meant for owner occupied properties and flagged hotels. With competitive rates and terms for the loan, these are some of the most sought after options. Contact Puget Sound Commercial Capital Group today to learn more about the options you have for financing real estate.